Dr. Riffat Sadiq is a physician with over 25 years of extensive experience specializing in Internal Medicine and Geriatrics. She is currently President and CEO of WNY Medical, PC, which she founded in 2002. This multiclinic and multidisciplinary practice focuses on primary care and disease management and prevention. In this practice, Dr. Sadiq leads a team of 35 physician and midlevel providers serving in eight offices throughout Western New York, as well as providing inpatient services at several area hospitals and nursing homes. Dr. Sadiq is also President of Geriatric Associates, LLP, serving as the Medical Director of Acute Geriatric Service at Erie County Medical Center. In addition, Dr. Sadiq is affiliated as volunteer faculty with University at Buffalo and as a preceptor with the Physician Assistant program at Daemen College. Dr. Sadiq has been recognized by Business First Magazine as one of the top fifty medical professionals in the Buffalo area for her contributions to improving health care in Western New York. She has been consulted by TV and print media to render her opinion on health and healthcare issues. Dr. Syed Ahmed has been with WNY Medical, PC since 2009. He received his medical education from Allama Iqbal Medical College in Lahore, Pakistan and completed his residency in Psychiatry at Eastern Virginia Medical School in Norfolk, Virginia. After residency, he went on to complete his clinical fellowship in Geriatric Psychiatry at the University of Rochester in Rochester, New York. Dr. Ahmed is a member of the American Psychiatry Association, the American Association of Geriatric Psychiatry, and the International Psychogeriatric Association. He currently sees patients at the WNY Medical, PC Amherst location. Dr. John Bauers has been with WNY Medical, PC since 2007. Dr. Bauers earned his medical degree from the State University of New York Downstate Medical Center in Brooklyn, completing his residency training and American Board of Internal Medicine Certification at New York Medical College in the Bronx. Dr. Bauers is certified as a Master Practitioner in Neuro-Linguistic Programming and Hypnosis. He is currently engaged in an ongoing study of the ancient Hawaiian spiritual healing practice known as HUNA with the American Pacific University in Kona. He uses this knowledge to enhance his ability to work with his patients and their families, identifying successful ways to achieve their desired health status and life goals. Dr. Bauers’ focus with WNY Medical, PC is Geriatrics and Rehabilitation, providing care to residents at nursing and rehabilitation facilities in Erie, Chautauqua, and Cattaraugus Counties. He maintains a primary care practice of Internal Medicine for adults of all ages at the WNY Medical, PC Amherst location. William is a licensed clinical social worker since March 1990. He graduated from School of Social Work, Syracuse University. He started working with WNY Medical, PC effective August 2013. He is credentialed with the following insurances BCBS, Fidelis, GHI/Emblem Health, Magnacare, Health Republic, Aetna, Medicaid, Medicare, Univera, and Value Option. Dr. Richard Carlson has been with WNY Medical, PC since 2007. He received his medical education at the State University of New York at Buffalo, completing his residency in Internal Medicine at EJ Meyer Hospital in Buffalo, NY. Dr. Carlson has served as a physician at a summer camp in Monticello, NY, where he provided medical care to children. Currently, Dr. Carlson also works for the U.S. Military and conducts physicals for the Army. He sees patients at St. Joseph’s Hospital and at the WNY Medical, PC’s Depew location. Dr. Dippert is a board certified general practitioner who has been in practice for over forty years in the Southtowns. He is a graduate of University at Buffalo and attended the Kirksville College of Osteopathic Medicine. After his internship in Detroit and starting his practice in Michigan, he was drafted into the Navy. Following two years of Navy service, he joined Dr. Russell Joy in North Collins. In 1970 he started his own practice in Boston, NY. In 1976 the practice was moved to Eden, NY where he practiced until May of 2005. Dr. Dippert joined Dr. Fred Occhino in Hamburg then and later joined Lakeshore Family Medicine in October of 2007. In January of 2011 he was with Dr. Craig MacLean in Hamburg and now is joining WNY Medical, P.C. at our Derby office. Vinayak Gokhale joined WNY Medical, PC in August 2013. He is board-certified by the American Board of Psychiatry & Neurology and has also taught at the State University of New York at Buffalo. Dr. Kawinski has been practicing medicine for over 25 years, he is a well-established provider with specialization in Internal Medicine. Dr. Kawinski is at par with major insurance carriers such as, Medicaid, Medicare, BCBS, Univera, IHA, Medicare Railroad, Fidelis, and others. Dr. Pervez Khan has been with WNY Medical, PC since 2008. He received his medical degree from King Edward College in Lahore, Pakistan. He has been an instructor for the American Heart Association in their ACLS program at Mendota Hospital in Illinois. Rashida Khanam joined WNY Medical, PC in August 2013. She completed her residency in psychiatry at the State University of New York at Buffalo. She is board-certified by the American Board of Psychiatry and Neurology and is credentialed with major insurance companies (BCBS, Univera, IHA, Medicaid, Medicare, and others). Dr. LaDuca has been practicing medicine for over 25 years. Dr. LaDuca is board certified in Family Medicine. Dr. LaDuca takes major insurance carriers, such as, BCBS, Medicare, Medicaid, IHA, Multiplan, Magnacare, and others. Dr. Peter S. McQuiller joined WNY Medical, PC in 2011. He received his medical education from the State University of New York at Buffalo and completed his residency in Internal Medicine at the same location. Dr. McQuiller is also a member of the American Medical Association. He specializes in Internal Medicine and currently sees patients at the WNY Medical, PC Derby location. Dr. Packianathan has been with WNY Medical, PC since 2009. He received his medical education from the University of Ceylon, Colombo and completed his residency in Family Practice from the State University of New York at Buffalo. Dr. Packianathan is a member of the Medical Records Committee of Erie County Medical Center (ECMC), and he is a Medical Faculty Council Member at the State University of New York at Buffalo. Dr. Packianathan currently sees patients at the Dosberg Manor Adult Home and Assisted Living Program at the Weinberg Campus, and at the WNY Medical, PC North Buffalo location on Cazenovia Street. M Sadiqur Rahman has joined WNY Medical, PC starting Aug 2013. He is board-certified by the American Board of Psychiatry and Neurology, a member of both the American Psychiatric Association and American Association of Geriatric Psychiatry. Dr. Rahmen is credentialed with major insurance companies (BCBS, Fidelis, Univera, IHA, Medicare, Medicaid, and others). 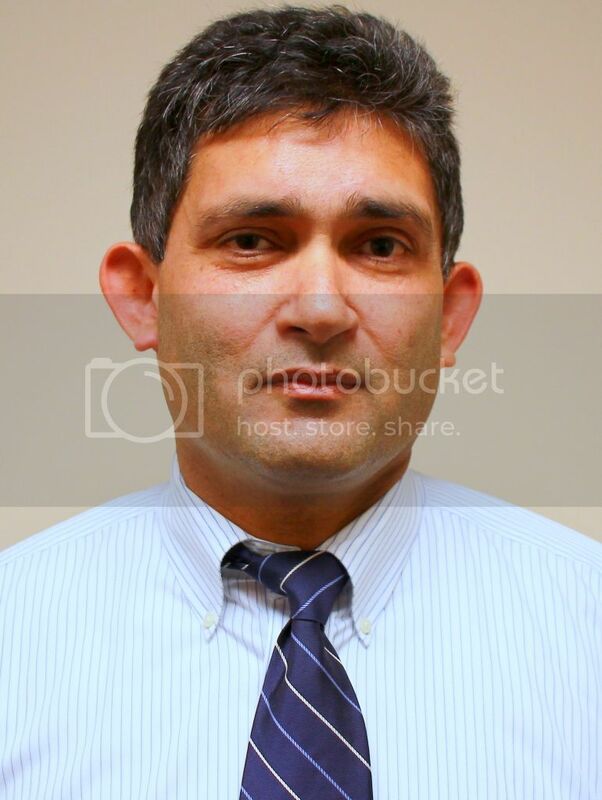 Dr. Saeed joined WNY Medical, PC in Aug 2013. He is board certified by the American Board of Psychiatry and Neurology. He is credentialed with major insurance companies (BCBS, Fidelis, Univera, IHA, Medicare, Medicaid, and others). Dr. Saleeb is a well-established provider with a specialization in Gynecology. He graduated from Assiut Medical School in Egypt. Dr. Saleeb holds a board certification in OB/GYN. Dr. Saleeb accepts major insurance carriers, such as, IHA, Medicaid, Medicare, Univera, and others. Dr. Abrar Siddiqui has been working with WNY Medical, PC since January 2014. He specializes in Family Medicine. He can communicate fluently in English, Spanish, Hindi, and Urdu. Dr. Siddiqui accepts major insurance companies such as Fidelis, Independent Health, Medicaid, Medicare, United Health Care, and UHC/Empire Plan. Dr. Majeed Siddiqui has been practicing family medicine for almost 20 years; he graduated with a degree in Internal Medicine/Family Medicine from Australia. He started working with WNY Medical, PC January 2014. He accepts major insurances BCBS, Independent Health, Magnacare, Medicaid, Medicare, Tricare, Univera, and others. Razia Sultana is a provider who is well versed in the field of Medicine. She is a graduate from University of Washington with a PhD in pathology and genetics, and also has also earned a Masters in Neurosurgery/pathology. She then graduated from SUNY at University of Buffalo with a degree in Medicine. Dr. Sultana started with WNY Medical, PC in January of 2015 and accepts some major insurances such as Medicare. Dr. Anil Tripathy has been with WNY Medical, PC since 2011. He received his medical education from Orissa in India and completed his residency in Internal Medicine at Hurley Medical Center in Flint, Michigan. Dr. Tripathy currently works in the Occupational Medicine Division of WNY Medical, PC, where he specializes in Buprenorphine (Suboxone) Addiction Treatment and Rehabilitation programs. Dr. Nathaniel Webster joined WNY Medical, PC in January 2012. He received his medical education from Meharry Medical College in Nashville, Tennessee. Dr. Webster has a very diverse medical background. He has been a school physician for the Erie County Department of Health, Medical Director for the New York State Drug Rehabilitation Center, and President of Medical Staff at Sheehan Memorial Hospital. He has also served in the United States Army Medical Corp. in San Antonio, TX. Dr. Webster specializes in Family Practice and sees patients at the WNY Medical, PC Buffalo location on Northland Avenue. Leslie Bixby has been with WNY Medical, PC since August 2012. She graduated from the State University of NY at Buffalo with a Masters of Science in Nursing (FNP) and is a licensed Nurse Practitioner. Leslie Bixby is a part of the American Nurses Credentialing Center (ANCC) and is in the process of gaining privileges with CHS and TLC. She is also credentialed with major insurance companies (Medicaid, Medicare, Fidelis, and others). Mary Colleen Brackens has been a part of WNY Medical, PC since July 2012. She graduated from East Tennessee State University with a Master’s of Science in Nursing, Adult Nurse Practitioner. She is credentialed with major insurance companies (Medicaid, Medicare, BCBS, and others) and has privileges at CHS (St. Joseph Hospital) and TLC, Lake Shore. Debra Stacey is a licensed Nurse Practitioner in Psychiatry; she has also previously practiced as a Diabetes Educator. Debra started working with WNY Medical, PC effect December 2013. She is insured with major insurance companies, like, BCBS, Fidelis, Independent Health, Magnacare, Health Republic, Aetna, Medicaid, Medicare, Tricare, Univera, and others. Nicole has been a registered nurse for the past 5 years; she received her Nurse Practitioner license in September 2014. Nicole also received her board certification in November 2014. Nicole will be credentialed with major insurance companies, such as, BCBS, IHA, Fidelis, Medicare, Medicaid, Univera, Wellcare, Magnacare, and others. Lindsay Burch joined WNY Medical, PA in March 2013. She obtained her Master of Science in Physician Assistant Studies from Stony Brook University, Stony Brook, New York in 2011. She has a New York State Physician Assistant License and is NCCPA board certified. She has professional affiliations with New York State Society of PA, American Academy of PA, WNY PA Association, and the WNY Christian Medical and Dental Association. A fresh graduate from Daemen College, Katie is a licensed Physician Assistant with the state of New York. She became board certified in June 2014. Katie is currently at par with all major insurances, such as, Medicare, Medicaid, BCBS, IHA, Univera, and others. Jameela Khan has been a Physician Assistant (PA) with WNY Medical, PC since 2010. She received her nursing degree from Daemen College and has extensive volunteer experience at the Butler Clinic of the Buffalo Psychiatric Center where she assisted in carrying out treatment plans arranged for mentally handicapped people. Ms. Khan is a member of the American Academy of Physician Assistants and the Western New York Physician Assistant Association. She currently sees patients at the WNY Medical, PC Amherst location. Liliya Kulik joined WNY Medical PC in December 2011. She graduated from Daemen College in 2011 and is board-certified by the American Academy of Physician Assistants. Additionally, Ms. Kulik is credentialed with major insurance companies (BlueCross BlueShield, MagnaCare, Medicaid, Medicare, and others) and has obtained a certificate in Advanced Cardiovascular Life Support. She is also fluent in the Russian language. Brenda Leaird started with WNY Medical, PC December 2013. She graduated with a degree in Physician Assistant from Harvard University. She is credentialed with major insurance companies like, BCBS, Fidelis, GHI/Emblem Health, Magnacare, Health Republic, Aetna, Medicaid, Medicare, Univera, Martin’s Point, and Today’s Option. Debra Longbine has been with WNY Medical, PC since 2009. She received her education from Gannon University in Erie, Pennsylvania, and she currently sees patients at the Derby location. Amy Munro has been with WNY Medical, PC since February, 2011. She received her education from Daemen College and has been practicing as a Physician Assistant in Internal Medicine for over ten years. Amy Munro sees patients at Lakeshore Hospital in the long-term and sub-acute care units and at the WNY Medical, PC Depew location. Jessica Pazian, LMHC has obtained a Masters degree in mental health counseling from Medaille College. She became a Certified Trauma Counselor through the University at Buffalo School of Social Work. She is also a Nationally Certified Counselor. She has experience/expertise in the treatment of various disorders including; adjustment disorder, anger management issues, anxiety, behavioral issues, bipolar disorder, depression, domestic violence, family conflict, isolation, loss and grief, mood disorder, obsessive-compulsive disorder, panic disorder, relationship issues, schizophrenia, schizoaffective disorder, self esteem issues, sexual abuse, stress management, trauma and PTSD. She is credentialed with the following insurance companies, Fidelis, MagnaCare/ Health Republic, and Optum Health (UHC). Jacqueline Partridge joined WNY Medical, PC in April 2013. She holds a Master of Science in Physician Assistant Studies from Daemen College in Amherst, NY. She is credentialed with all the major insurance companies (Medicaid, Medicare, BlueCross BlueShield, Fidelis, Independent Health Association, Univera and others). Additionally, she is NCCPA certified and has held her New York State Physician Assistant License since 2007. Anjana Porwal has been with WNY Medical, PC since 2010. She received her Physician Assistant education from D’Youville College in Buffalo, New York, and she currently sees patients at the WNY Medical, PC Hamburg location.